Athlete's foot known medically as tinea pedis, is a common skin infection of the feet caused by various kinds of fungi. Signs and symptoms often include itching, scaling, cracking and redness. In rare cases, the skin may blister. Athlete's foot fungus may infect any part of the foot, but most often grows between the toes. Apart from these areas, the fungus might develop at the bottom of the foot, under nails, on hands, and nearby skin areas. Tinea pedis is a member of the group of diseases known as tinea, and is mainly caused by a number of different fungi. Trichophyton, Epidermophyton, and Microsporum, are some of the major fungi types that may cause the tinea pedis ailment. The condition is typically acquired by coming into contact with infected skin or also with the fungi type mentioned above from the environment. Common places where the fungi can survive are around swimming pools and in locker rooms; they may also be spread from other animals. Usually diagnosis is made on the basis of signs and symptoms; however, it can be confirmed either by studying cultures or by observing hyphae using a microscope. Some methods of prevention include avoiding walking barefoot in public showers, keeping toenails short, wearing clean shoes, and changing socks daily. When infected, the feet should be kept dry and clean, and wearing sandals or floaters may help. Treatment can either be carried out with antifungal medication applied to the skin such as clotrimazole. For persistent infections, medication such as terbinafine need to be administered through the oral cavity. The use of these medicines is typically recommended for four weeks. Globally, athlete's foot affects about 15% of the population, and males are more often affected than females. It occurs most frequently in older children or younger adults. Historically, the disease is believed to have been a rare condition and was more frequent in the 1900s. 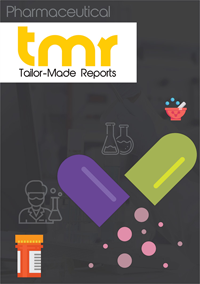 The global market for tinea pedis treatment has expanded on account of the rising awareness about skin infections and diseases amongst people. Tinea pedis, or Athlete’s foot, is a skin infection of the feet that is caused by fungus, and it results in excessive itching around the affected area. The discomfort caused by tinea pedis can become unbearable for the sufferers, and hence, it is important to initiate immediate treatment once the symptoms start showing. Fungus can be acquired from multiple sources including public showers, filth deposits, unclean shoes or socks, and by coming in direct contact with an affected person. For sportspersons and athletes, it is important to avoid infections to retain their performance, which contributes to the demand for tinea pedis treatment. On the contrary, sportspersons and athletes are the most prone to acquiring skin infections either due to excessive sweating or by using shared toiletries, towels, and other essentials. Hence, the global market for tinea pedis treatment has attracted commendable demand due to increased uptake of sports and strenuous activities. The global market for tinea pedis treatment may be classified based on the following parameters: diseases type, drug class, route of administration, distribution channel, and region. It is important to analyze each of the aforementioned segments to get a wider purview of the market. The report is a descriptive portrayal of the forces operating in the global market for tinea pedis treatment. In order to get a wider view of the market, the researchers of the report have analyzed the demographics of the possible consumers in the market. The dermatophyte fungus that causes tinea pedis grows under humid conditions, and hence, people living in the humid areas are at a greater risk of acquiring the infection. Governments across several regions have made ardent efforts to prevent the prevalence of tinea pedis which has propelled demand within the global market. Moreover, the contagious nature of the infection has led dermatologists to educate and inform patients about the importance of proper treatment. This has also contributed towards aiding the growth of the global market for tinea pedis treatment. The quest of certain countries to eliminate the possibility of fungal and microbial diseases has also propelled demand within the global market for tinea pedis. Despite the aforementioned drivers of demand, a number of countries are still far from devising ways to eliminate or treat fungal infections. Nevertheless, the research and development initiatives in the field of dermatology are expected to trickle down to the impoverished nations, which is expected to generate demand in these regions. The global market for tinea pedis is expected to be reigned by North America in terms of market share. The prominence of the research and development initiatives in North America is the primary reason behind the growth of the regional market. The European market is also expected to exhibit a trend of positive growth over the forthcoming years. Some of the leading players in the global market for tinea pedis are GSK, Viamet Pharmaceuticals Exeltis USA, and Valeant. All of these market players are expected to concentrate on key product innovations over the course of the next few years.